MedXtractor manufactures patented, small-scale CO2-based cannabis oil extractors for sale worldwide We focus on hundreds-of-thousands of Craft-style growers who produce small-batch, very-high-quality cannabis products. 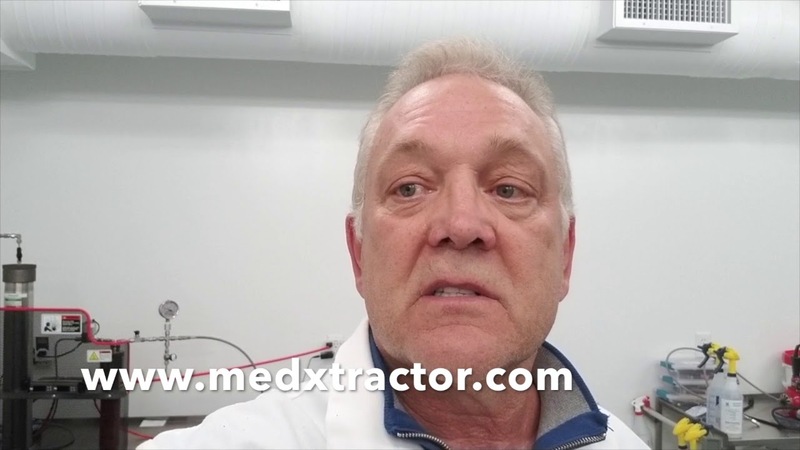 Keith Bekker has joined MedXtractor Corp.
joodda has joined MedXtractor Corp.
Jim Durward posted an update in MEDXTRACTOR CORP.
Our audit is progressing - should be done in 2 weeks, then on to the Offering Memorandum. These things take forever! Darren Stewart commented on Media Relations update in MEDXTRACTOR CORP. Very cool video Jim. Thanks for sharing..
Media Relations posted an update in MEDXTRACTOR CORP. Here' is a very short video of our Disruptor 16 installed at a Licensed Producer. See the Medxtractor D-16 Disruptor, craft-scale CO2-based extractor installed at a Canadian Licensed Producer. Stephen F has joined MedXtractor Corp.
Kyle Sarwal has joined MedXtractor Corp.
Yolando Yap has joined MedXtractor Corp.
itzglenny has joined MedXtractor Corp.
Darren Stewart has joined MedXtractor Corp. Note the dark section near the bottom of the vial - it is an example of heavier extract suspended in lighter extract. Both came from the same material but the lighter extract comes off first and the heavier comes off last. The following is my opinion only. Edibles and concentrates concentration limits - why? If somebody wants to get drunk, the strength of the alcohol is irrelevant - it's all about how much is consumed. And that is the choice of the individual doing the drinking. Same for cannabinoids. Regulations can't stop people from getting drunk and they can't stop people from over-consuming cannabis. The point being that regulating concentration limits does not result in lesser highs - it just increases the consumer cost of those highs. Logan Richard has joined MedXtractor Corp.
Jim Durward has joined MedXtractor Corp.
Media Relations has joined MedXtractor Corp.
DArcy Funfer has joined MedXtractor Corp.
8020 Admin has joined MedXtractor Corp.